Premier Ostomy Centre Inc. is the proud owner of Protective Ostomy Belt since March 2017. 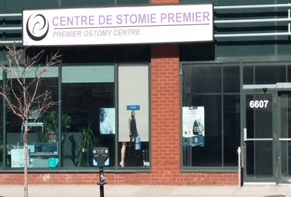 Being in the ostomy supply business since 1995, Nat Goldenberg and his son Joel Goldenberg (who joined him in 2009), took over this well established company, allowing Florian Lévesque (founder of the company) to take a well-deserved retirement. Continuing to serve over 40 countries, our wish is to keep improving on the quality of the products and offering great customer service. “After a colonoscopy, the doctors believed I had an acute ulcerative Colitis, therefore, risk of Cancer. During ten months they tried to treat me using standard procedures but without any significant results. I had therefore to face an extreme solution: the removal of my large intestine and, of course, the need to wear an ostomy pouch for the remainder of my days! They removed my colon and appendix and sent them to the labs for tests. To my surprise my illness was not ulcerative Colitis, but Crohn’s Disease. I had to face the fact of living the rest of my days with a pouch stuck to my stomach, a permanent ileostomy. I’ve been an ostomate for 16 years now and I realize that wearing an ostomy pouch is not the end of the world; far from it. The ostomy pouch is part of my daily life and I manage with no difficulty. I’m not scared and frightened anymore. I left Crohn’s disease way behind me. I still have a great quality of life since there are few things that I cannot do. The disease has even given me a job. In 2004, I invented an ostomy belt and this innovation expanded very fast since. This helped me become a specialized undergarment manufacturer for ostomates for several years now. I have no more time to be sick. Adapt to life with an ostomy pouch.